Throughout the history of the tattooing world, lots of different countries have made a considerable contribution to the industry. However, it’s important to indicate that it was exactly in the United States where the first american made tattoo machine was invented as put into the commercial use. What’s interesting, though, is that a lot of prominent people has found ways of creatively putting the ink on one’s body but it was particularly Thomas Edison, the lightbulb’s inventor, who intensified the overall idea the way we see it nowadays. As for the relative timeline, it’s important to realize that the creation of the electric pen is solely contributed to the genius mind of Thomas Edison who has no intention of modifying it any further. Sometime later, however, it got clear to Samuel O’Reilly that with the simple modifications of the pen itself, it’s possible to inject ink under the skin, thus leading to the creation of the first tattooing business in the city of New York during the year of 1891. Samuel himself patented the invention, regardless of the fact that the similar type of creation appeared in the United Kingdom during such a time. For instance, Thomas Reiley wanted to credit himself for the creation of the alternative american tattooing machine, the one based on the technique of the doorbell. In a way, such a machine resembled the prominent modern ones in the way it operated with the coils and used a single motor for the purposes of tattooing. Both of these inventions appeared as prominent to the general public, leading to the numerous attempts of monetizing the idea, some of which were successful while others have failed. 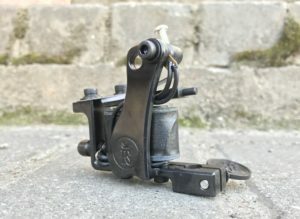 Still, it’s vital to realize who were the people behind the first tattoo machine as it gives an insightful information on the entire industry itself. At the same time, it’s clear that the United States has contributed to the worldwide tattooing culture more than any other country existing in the world as can be seen by the history.